If you’re super old school, you might remember Amateur Surgeon as Adult Swim’s very first game on the App Store. If you never played it, it’s basically Trauma Center: Under the Knife for the old school DS, but dripping with Adult swim charm and silliness. 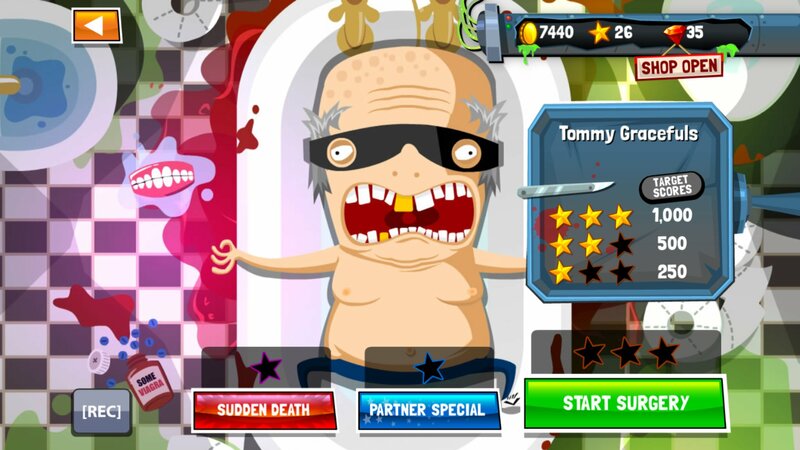 Amateur Surgeon was a hit, and Adult Swim went on to release two sequels to the original which all have since been removed from the App Store (although I’m not sure how many people noticed). As of this morning, Amateur Surgeon 4 (Free) hit the App Store. The fourth installment is a bit of a remaster of the original games, as well as being packed with new content, so there wasn’t a whole lot of reason to keep the old defunct Amateur Surgeon games around. There’s 100 levels included now, which is way more content than the previous games, and it’s totally free to play. Also, apparently it’s pretty great on the iPad Pro with the Apple Pencil, which is rad as there’s really not many games that are made for that setup. We’re going to dig deeper into the game and see how the free to play stuff is handled, but knowing Adult Swim, I doubt it’s going to be very obnoxious at all. If you’ve never played an Amateur Surgeon game, and have no idea what I’m talking about when I reference Trauma Center, be sure to give Amateur Surgeon 4 a shot, particularly for zero dollars.